A reliable way to prevent unlawful opportunities was the needs that our clients asked for. 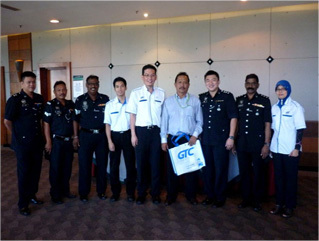 In order to create more awareness for Malaysian about what is security and how to select a one stop solutions security system to prevent unlawful activities, GTC CCTV clinic was born 2012 and launch by our Former Prime Minister, Tun Dr Mahathir. 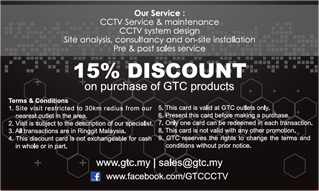 As the one stop security system provider, the exclusive of GTC CCTV clinic taken up the responsibility to change the perception of CCTV seems doesn’t do anything. 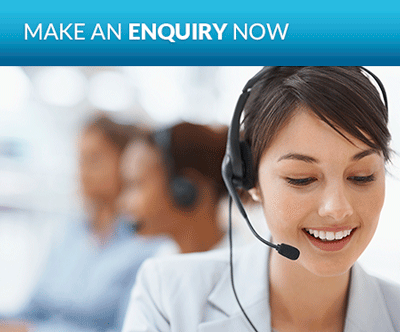 In fact it is the system provider and operators that produce the results required. The launched of the CCTV clinic is also to enhance the service of our business partner to serve our customer better, to provide, maintain a safe environment and to have “a Peace of Mind”, moreover to create more career and franchise business opportunity to the youth. 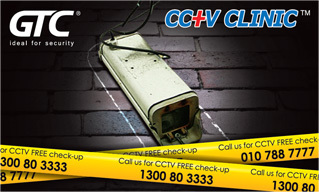 CCTV clinic provides nationwide FREE consultation, security system briefing and even individual advice. 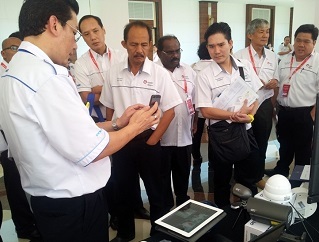 There was a great impact and demand during our idea exchange and products demo in government organization, forum of PPK and Royal Malaysia Police etc. 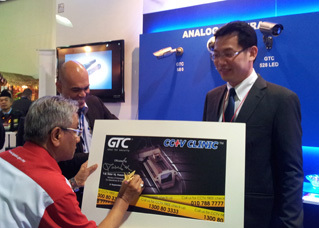 Due to the overwhelming response and appreciation from the consumers about our reliable service, professional consultation and great products over the year, our CCTV clinic privilege card was launched by our former Minister of Domestic Trade, Co-operatives & Consumerism Dato’ Sri Hassan Malek, we have more than 3000 CCTV clinic privilege card members. GTC security system and service by using advance technologies skill to make sure privacy and security is our top priority. In fact, the surveillance camera system that could be successful as one part of an overall activities prevention strategy that the cameras are only as intelligent as those design and operating them, in the other words – the intelligence provided to them. A surveillance camera use to operate 24 hours a day, seven days a week, 365 days a year without a toilet break, smoke, or lunch. It does not need a holiday, maternity leave. If you intent to have a longer shelf life of your surveillance system apart from looking for a reliable brand and professional service, quarterly random audit and service is a must. This is to prevent the system “fall sick” silently and lost of needed evidence. 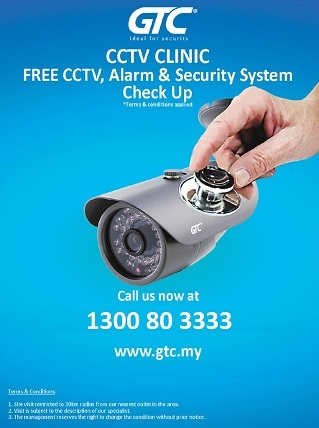 GTC CCTV Clinic provides consultation to assist you to justify the benefits you expect to receive from the investment of your security system and their usefulness to meet you particular needs. CCTV technology changes rapidly and it is important that you seek our expert advice as to the systems currently available and their capabilities.